The I Hotel & Conference Center is located at 1900 South First Street, Champaign. The conference center entrance is located on the northeast corner of the building, facing St. Mary’s Road. 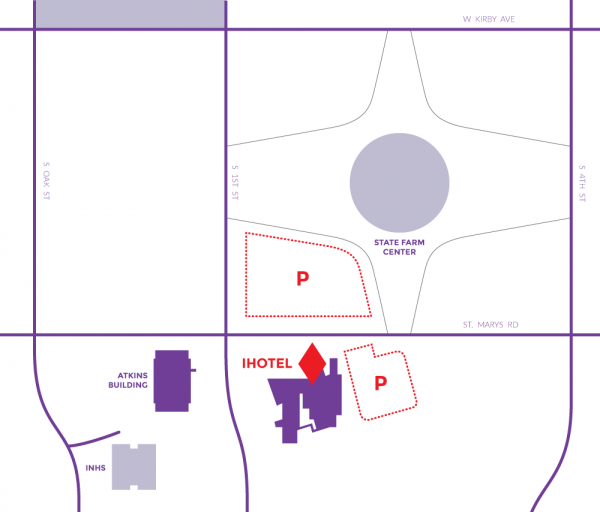 Free parking is available in the convention center parking area, to the east of the hotel, as well as the State Farm Center lot at the Northeast corner of First Street & St. Mary’s Road.